What air treatment equipment is recommended for industrial compressors? Accessories such as filters and dryers have an essential role to play in optimising the quality of compressed air. This is because they remove contaminants such as dust, oil and other liquids that could negatively affect end products or processes and impact profitability. They’re also important from an economic point of view, with air treatment equipment typically accounting for 35 per cent of a company’s capital spend on an entire compressed air system, and the remaining 65 per cent going to the cost of compressors themselves. For these reasons, it’s vital to choose the right type of air treatment equipment that will enhance a compressed air system and reduce total cost of ownership. Once the size and type of air compressor e.g. piston or rotary screw is determined, the next action is to determine the quality of air that is required. This should be done according to ISO 8573-1, which specifies purity classes of compressed air with respect to particles, water and oil. This will help to identify whether an oil-free compressor or an oil-injected compressor plus filtration is necessary. It will also help to identify the optimum type of dryer. As the quality of compressed air impacts on end products, the choice should be based on the application and process the compressed air will be utilised in. Should I get an oil-free compressor? If 100 per cent avoidance of oil contaminants is needed, for example in sensitive applications in the food processing, electronics and pharmaceutical sectors, then an oil-free compressor is the best option. This is because no oil is introduced in the process of compressing the air. In these type of applications, oil-free air technology can help to reduce the number of air filters that are required, cut the cost of oil condensate treatment and lower energy losses associated with pressure drops in filters. An important point to note is that although oil-free air compressors may not need additional oil coalescing filters, they still require a particulate filter. These are applicable to both oil-free and oil-injected air compressors, and are essential to remove dust and particulate matter from compressed air. Generally, oil-free compressors carry a much greater cost because they utilise a special coating on the compressor element that means they don’t require any oil for lubrication. For this reason, if there is no immediate need for oil-free compressed air, the more economical choice is to go with an oil-injected unit plus filtration. In many industries, oil-injected air compressors can and do meet specified requirements. For instance, the majority of manufacturing sites and small workshops rely on oil-injected air compressors, which utilise oil to lubricate, seal and cool the compressed air. However, in these type of applications there often isn’t a need for 100 per cent oil-free air, because the compressed air doesn’t come into contact with end products or processes. That said, even though traces of oil can be found in oil-injected systems, compressed air can be cleaned down to 0.01 micron by utilising correctly sized coalescing filters. If there is a need to go further, and remove any remaining hydrocarbon vapours, then it is worth considering using a carbon filter or tower to get closer to Class 1 air purity. Now, let’s take a look at some common misconceptions and recommended tips surrounding compressed air quality and treatment. Firstly, although the majority of industrial sites are right to select a refrigerant dryer to remove moisture from compressed air there are some important exceptions. For instance, if pipework and air receivers are exposed to temperatures below 3 deg C, liquid moisture may still be present in the air supply when using a refrigerant dryer. This presents potential problems in the winter months, when liquid moisture in compressed air pipework can be prone to freezing. If this is a possibility then a desiccant dryer should be selected, as this type of dryer is not affected by cooler ambient temperatures. Another myth is that it’s ok to try and save costs by dropping a system’s air pressure. For example, if a system is designed to operate at 100 psi and the user turns it down to 90 psi to reduce energy consumption. Unfortunately this can have a negative effect on air quality, especially if the air treatment equipment has been sized to handle a higher pressure level. Reducing the pressure level could mean the dryer or filters are now too small and prone to becoming overflowed, leading to them not being able to remove moisture and contaminants effectively. Finally, if oil in vapour form is detrimental to a process, and is being removed by carbon filter, it is recommended to maintain air treatment equipment more regularly. This is because higher ambient summer temperatures can lead to a larger volume of oil vapour in an air supply. However, regular testing will ensure oil vapour does not break through at this stage. Condensate management is another often-neglected stage of air treatment. If a site is connected to a sewer system it is very important. This is because the condensate collected by air receivers, water separators, coalescing filters and dryers needs to be treated before being discharged into a water sewer. This condensate, which is classed as trade effluent, needs the bulk of the oil removed by using a static oil water separator, before being passed through a further stage where the remaining oil is removed to an acceptable level. This level needs to be ascertained by regular testing before being discharged into a sewer system. The levels of discharge allowed vary by region, so it’s important to contact the nearest local water authority to obtain trade effluent consent. What this goes to show is that air treatment is a vital stage in all compressed air systems, whether an oil-injected or oil-free compressor is used. Determining the quality of compressed air required in the application is the crucial first step, after which it becomes easier to identify and select the appropriate types of air treatment equipment. Ultimately, by making the right choice of air treatment equipment companies can avoid any potential problems relating to contamination. This will help to ensure the consistency of their end products, and can help to reduce total cost of ownership. Andy Lill has an HNC in mechanical engineering. He commenced his career in railway engineering and progressed with service and sales engineering management positions with major manufacturers within the compressed air industry. Lill’s most recent role was with a filtration specialist company. 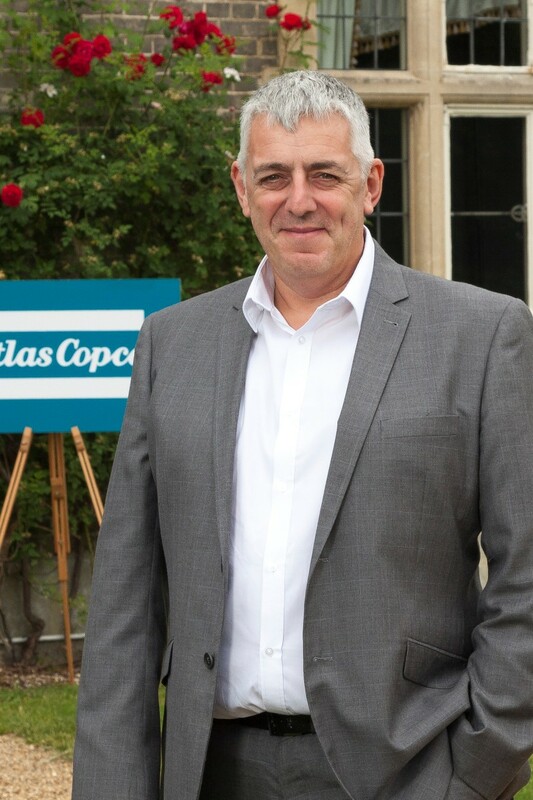 When not meeting the daily challenges of his new appointment, Lill’s off-duty activities include avid support for Manchester City, cycling, driving his convertible and undertaking DIY projects.